These patients were retrospectively analyzed using functional acuity outcome measures. The results showed 47.76% increase in functional visual acuity. Further analysis and expansion of the group size is planned. The purpose of this retrospective study was to describe functional acuity outcome measures after subjects participated in a home occupational therapy low vision rehabilitation program. We analyzed the OU (both eyes) functional visual acuity measurements of a random sampling of 80 individuals who participated in the VP home health occupational therapy low vision rehabilitation program at initial evaluation and at discharge. Participants were included if they had a visual disturbance such that it affected their ability to perform meaningful daily activities. Functional acuity was measured using the Colenbrander Visual Acuity Chart at a distance of 100 cm in the individual’s home under identical lighting conditions. We used a paired T-test to determine if there were any differences in functional visual acuity. Results indicate a significant (P=.0015, r=0.24, CI=95%) difference in functional visual acuity at initial evaluation (mean OU acuity 20/283, SD 249) and at discharge (mean OU acuity 20/179, SD 140), representing an average improvement of approximately two Snellen lines. 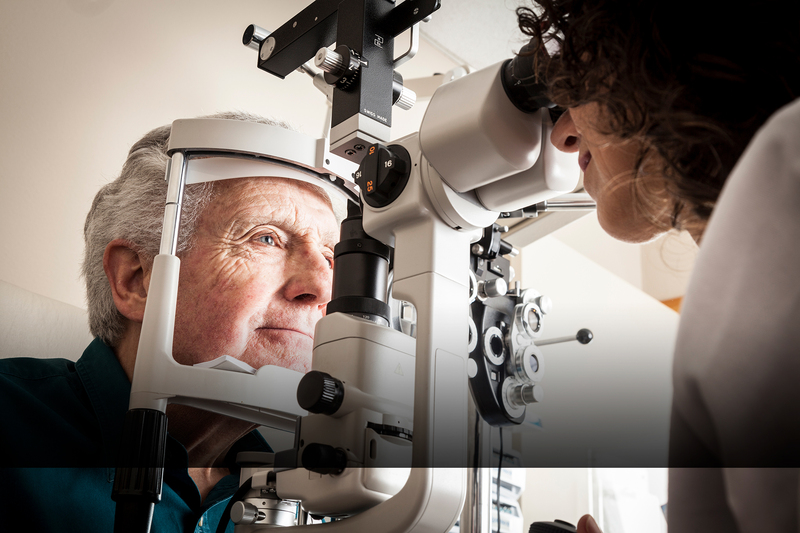 Results indicated that participants in the VP occupational therapy low vision rehabilitation program had significant improvement in functional visual acuity measures after participation. 80 Patients experienced an average of 47% increase in functional visual acuity. On average patients improved two Snellen lines on the Colenbrander Intermediate Acuity Chart. Robert E. Kalina, MD, a member of the vision rehabilitation committee,noted that when conventional medical techniques fail, “we don’t go to the next step, which is to help patients make the most of their remaining vision.” He noted that the situation is not one-sided. “The patients are guilty of looking for a cure instead of looking for a way to maximize their existing vision. It’s your job to help them find the way,” said Dr. Kalina, professor of ophthalmology at the University of Washington, Seattle.